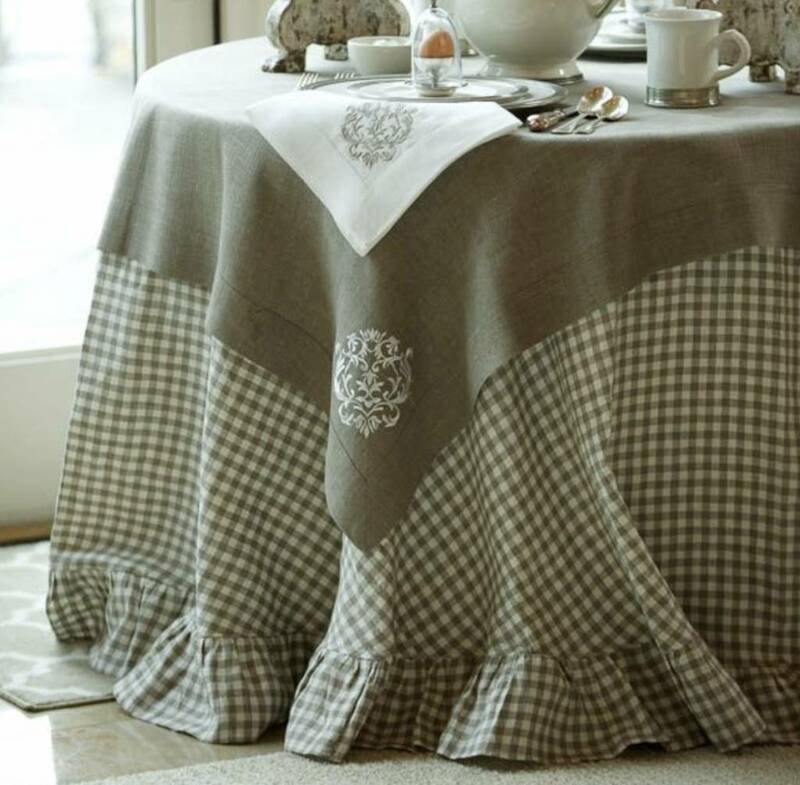 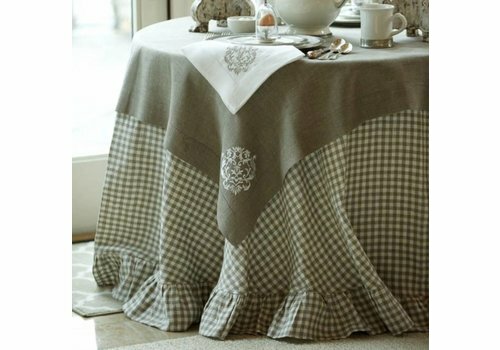 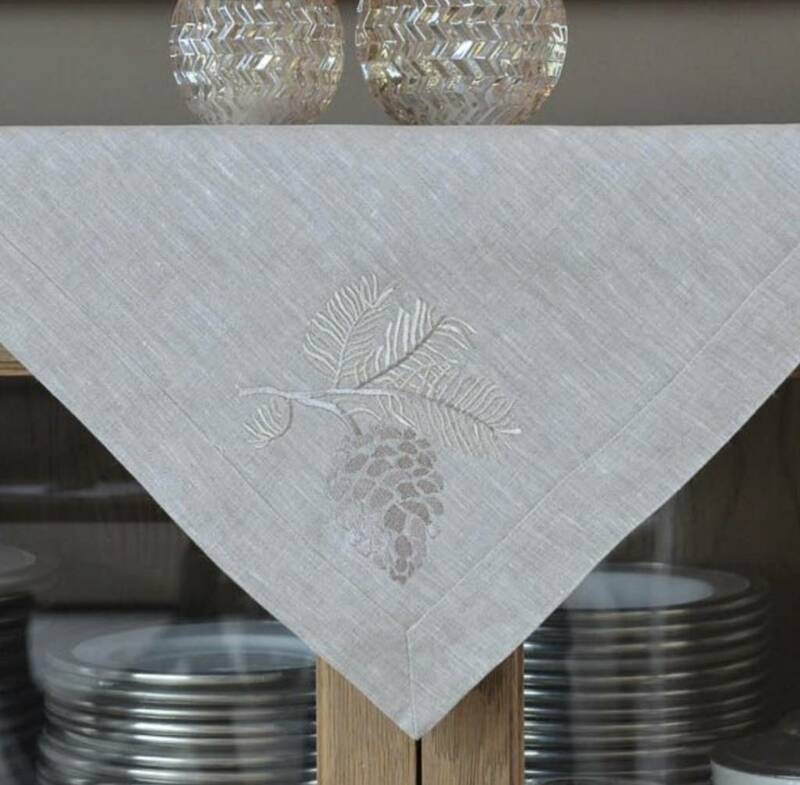 100% European Linen Square table topper with beautiful embroidered "Pinecone" in all four corners. 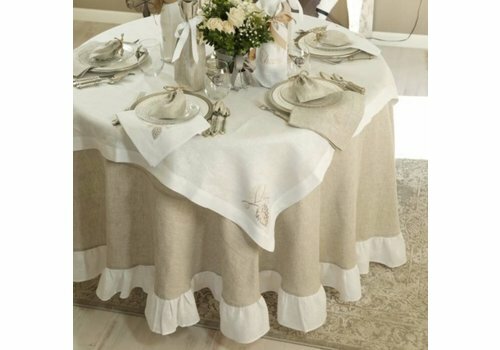 Lay flat on table or scrunch for different look. 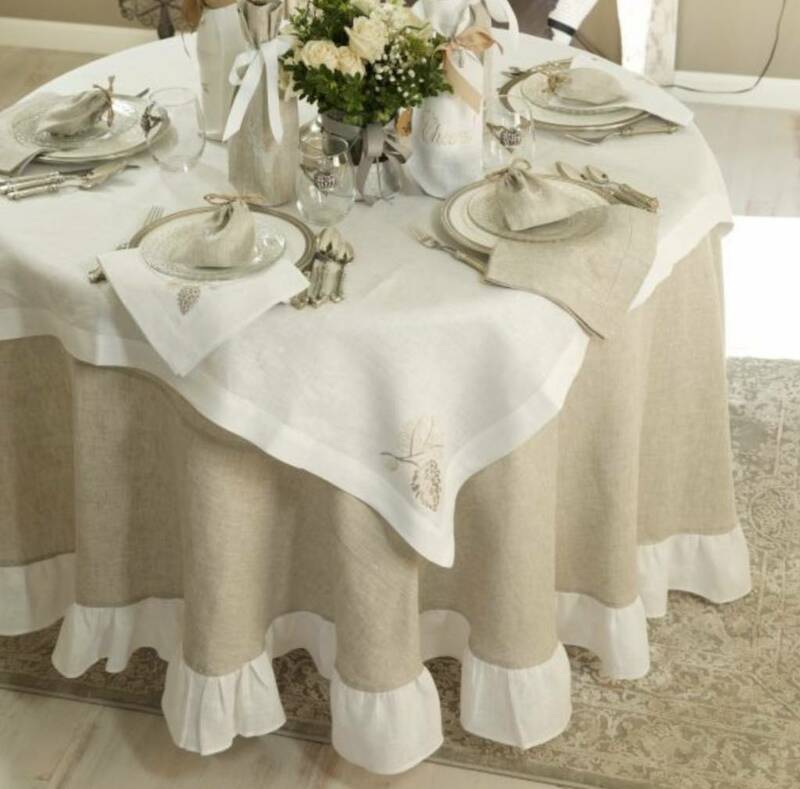 Combine with embroidered napkins for a beautiful and elegant table. 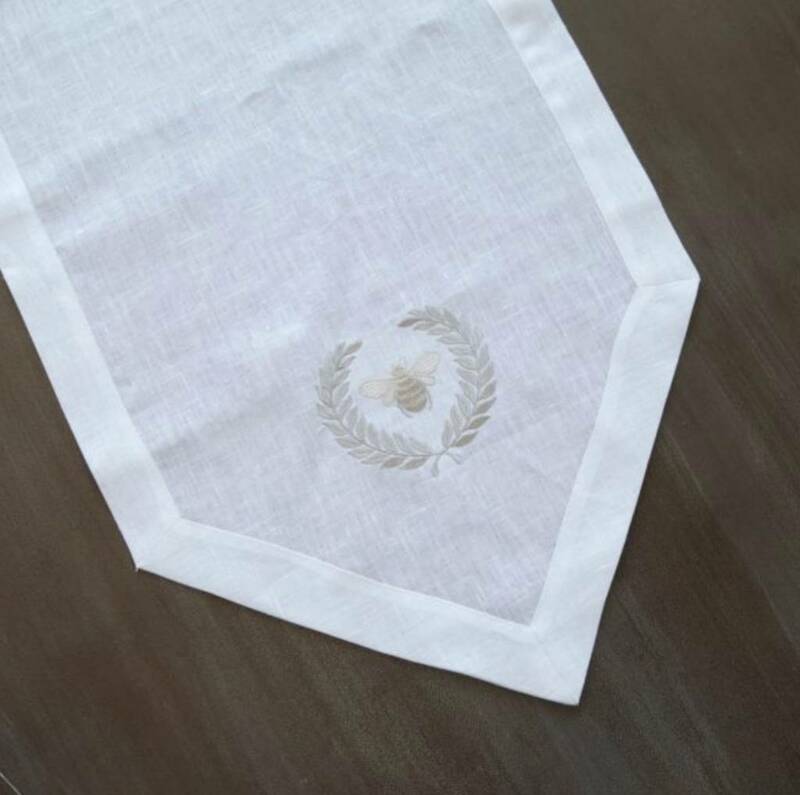 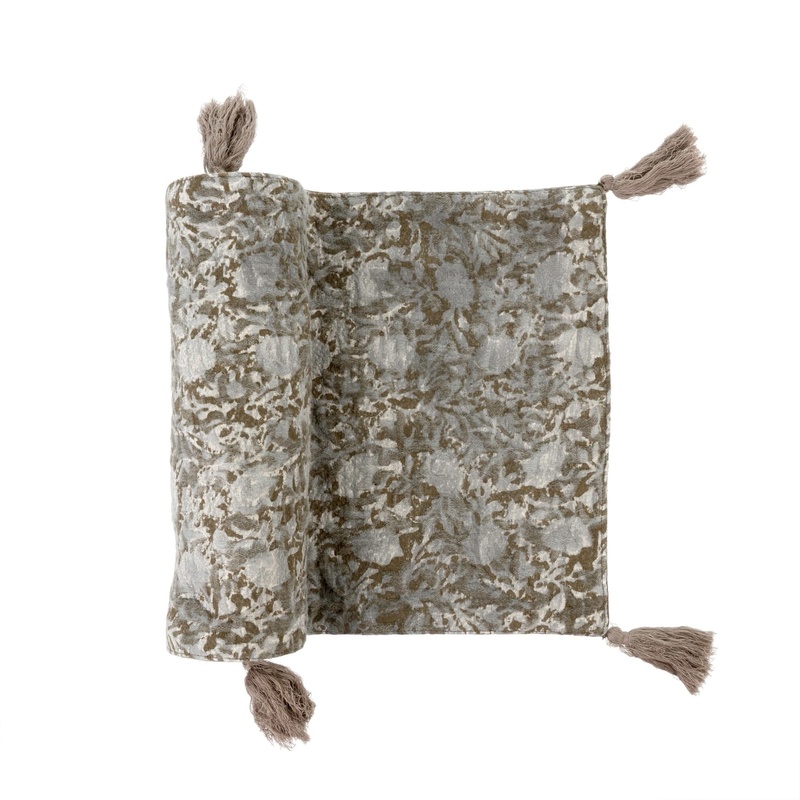 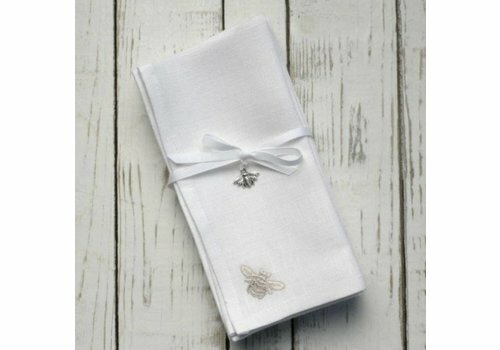 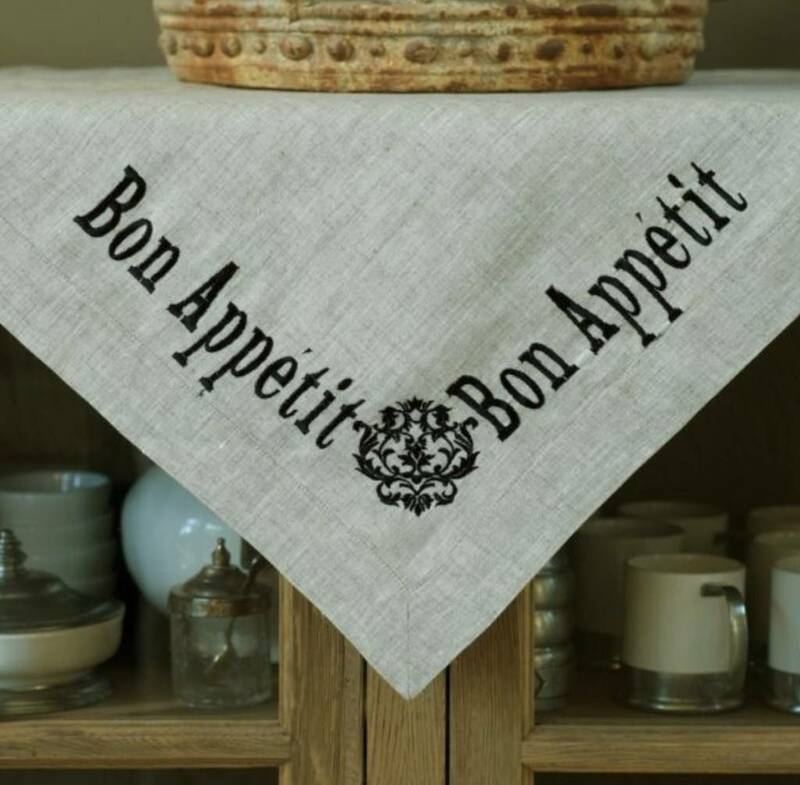 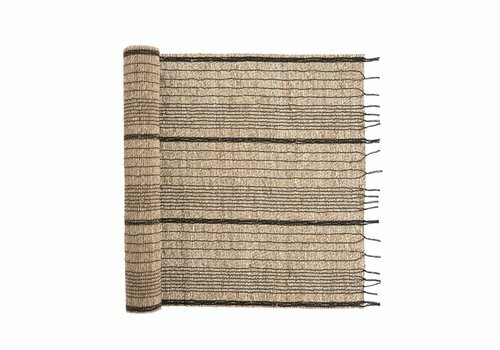 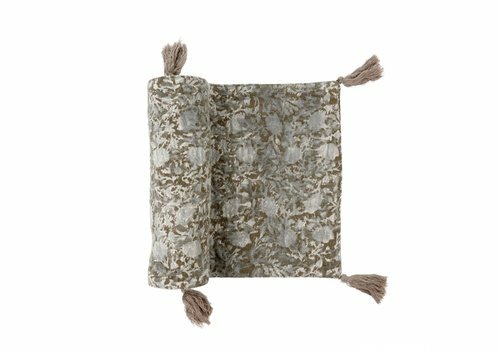 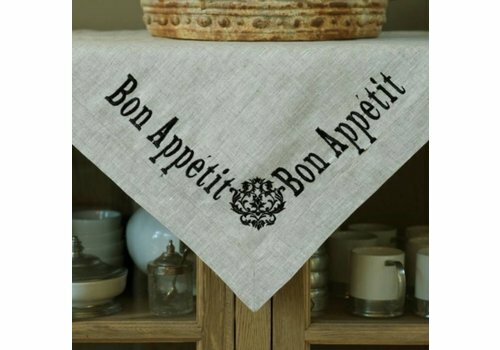 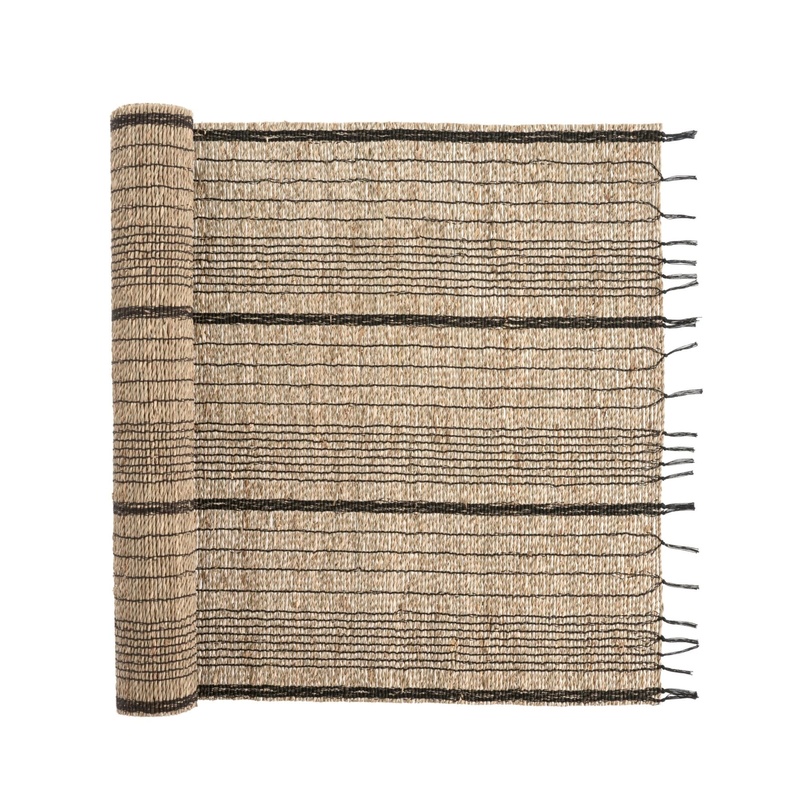 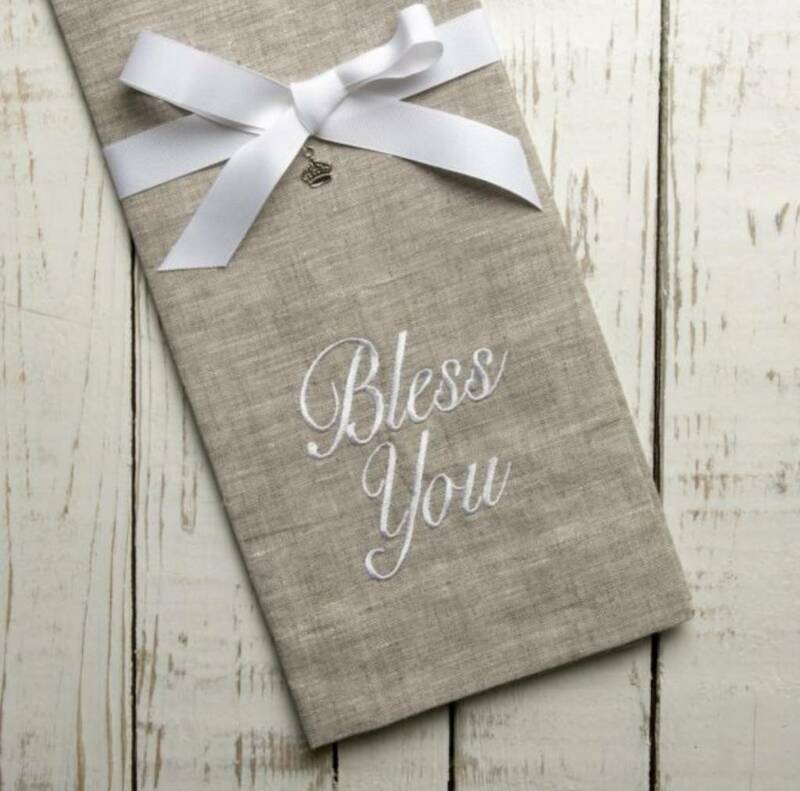 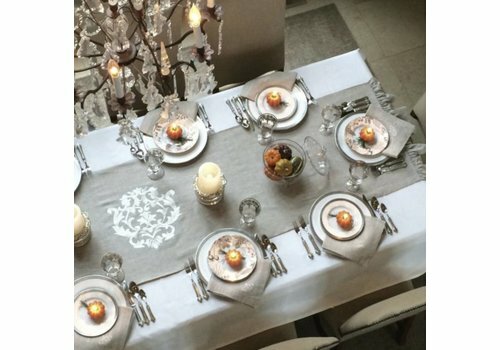 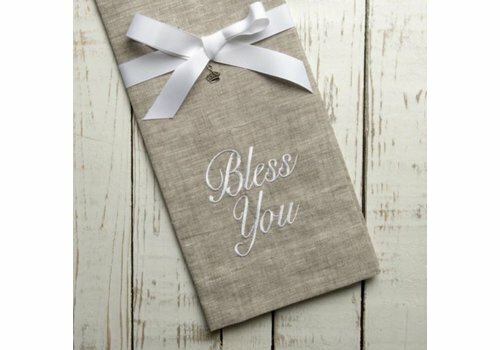 Spoil yourself and set the table with these gorgeous linen placemats. 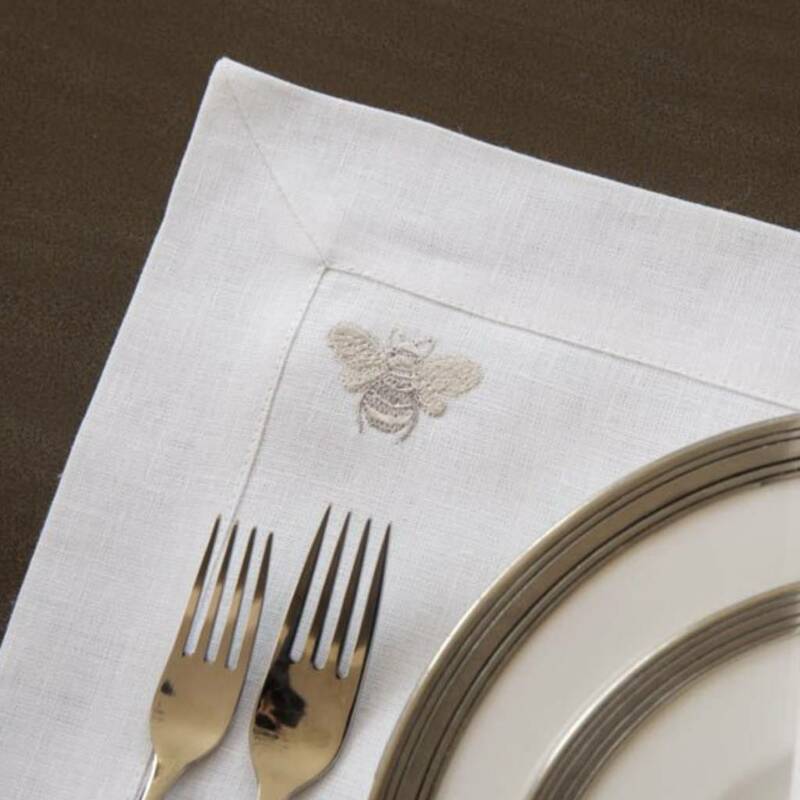 Each adorned with our signature Bumble Bee in the top left corner. 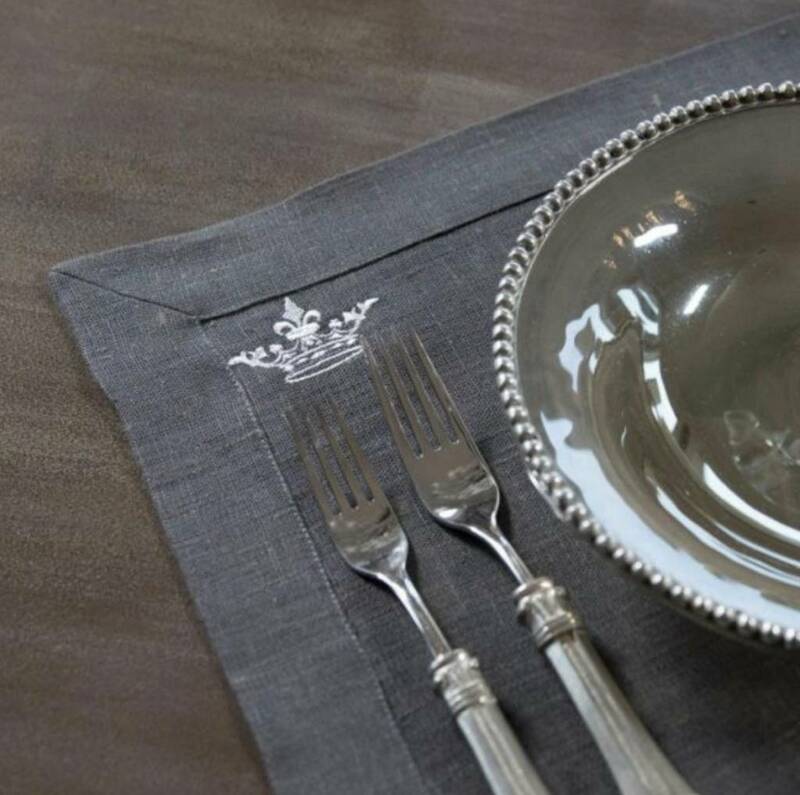 Spoil yourself and set the table with these gorgeous linen placemats. 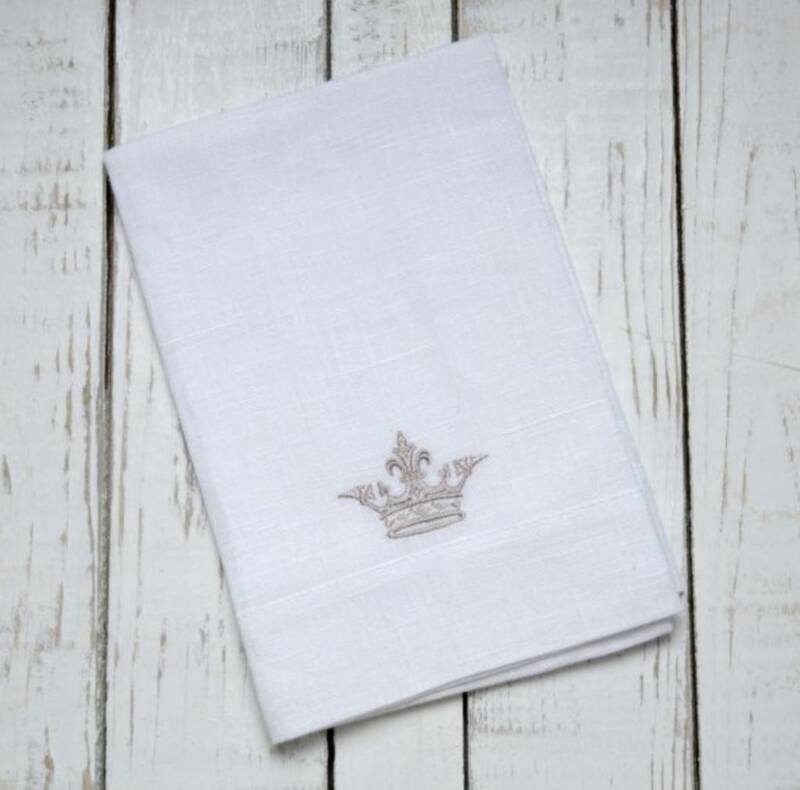 Each adorned with our signature crown in the top left corner. 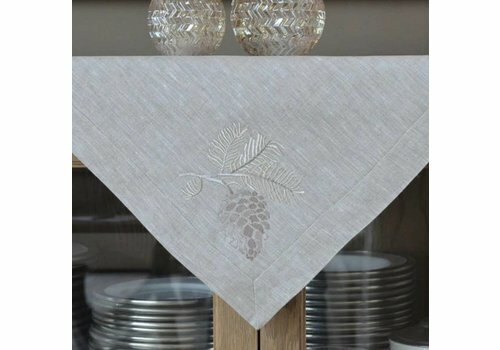 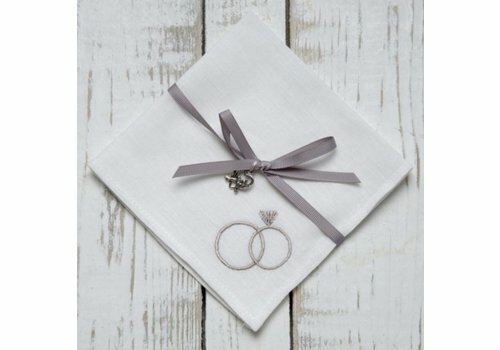 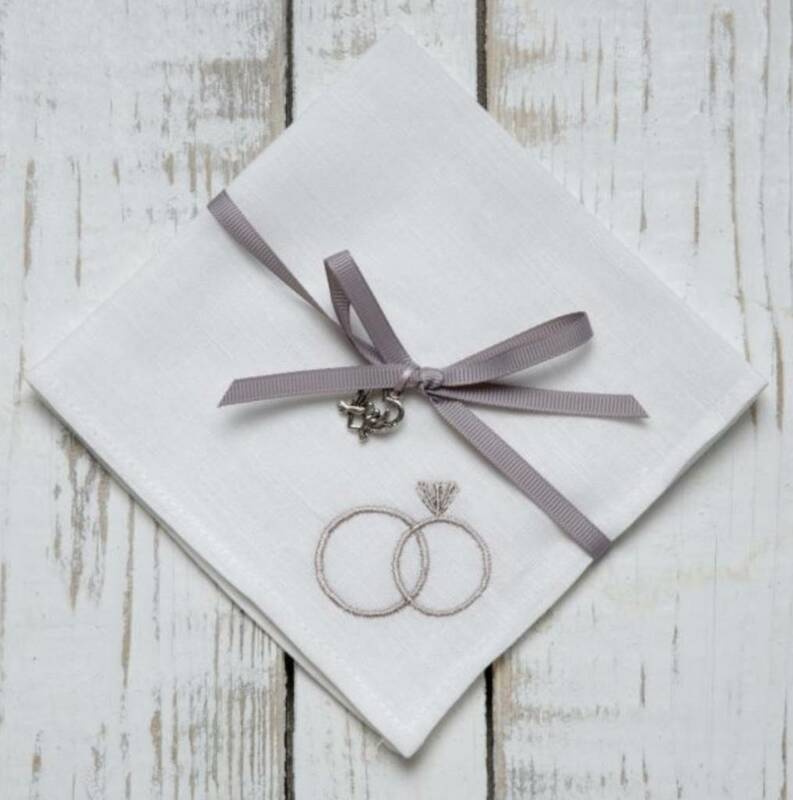 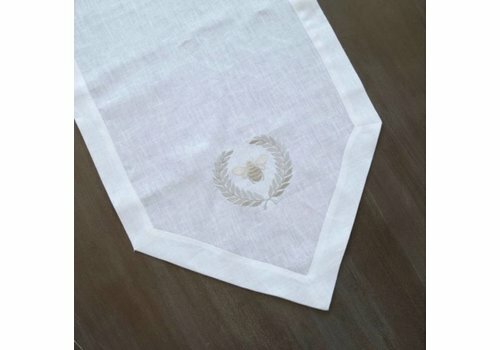 This beautiful set of four cocktail napkins made of 100% European Linen makes your table look elegant and amazing. 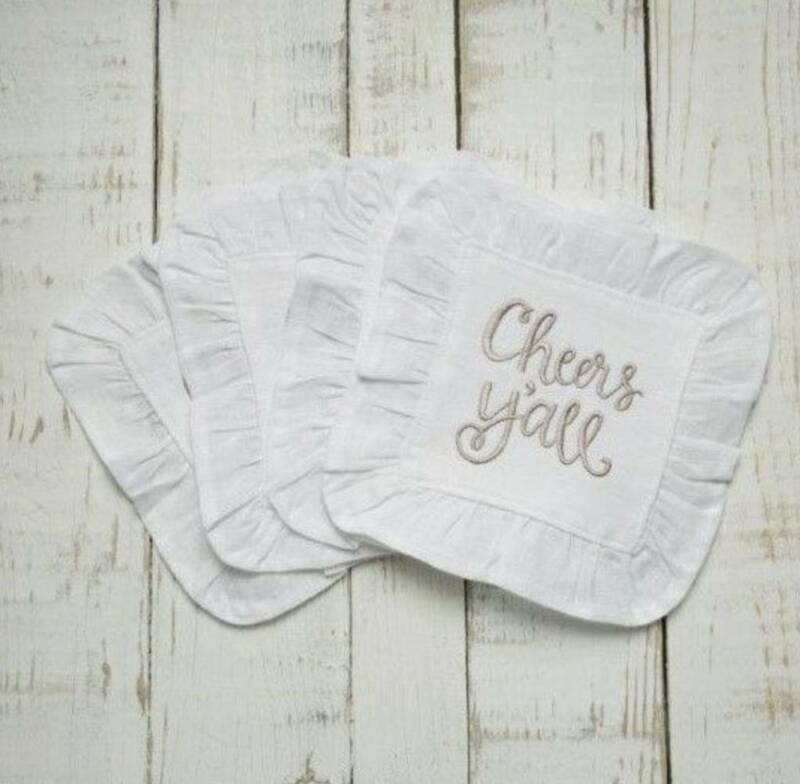 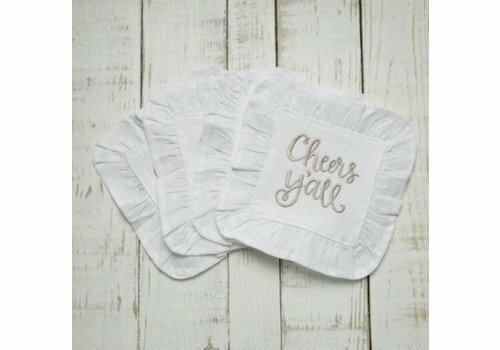 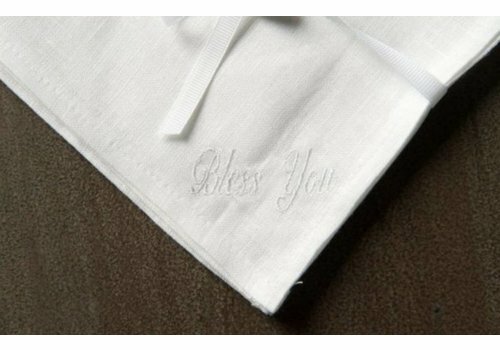 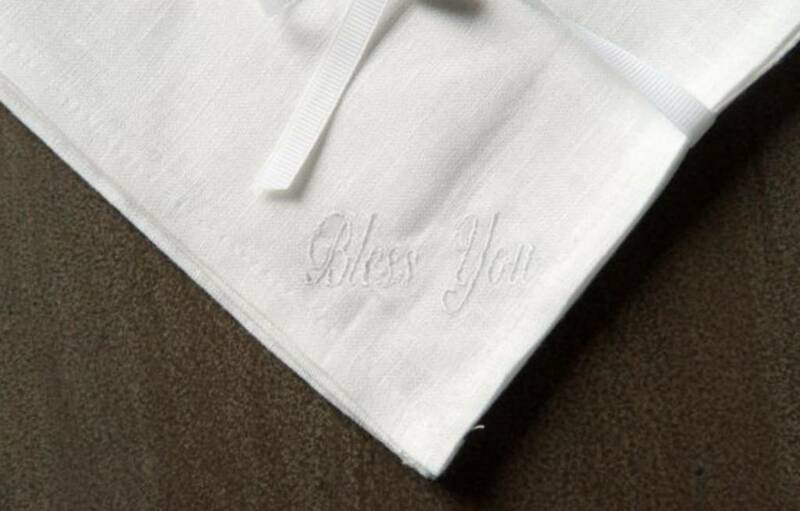 Each two tone cocktail size napkin is embroidered with "Cheers Y'all". 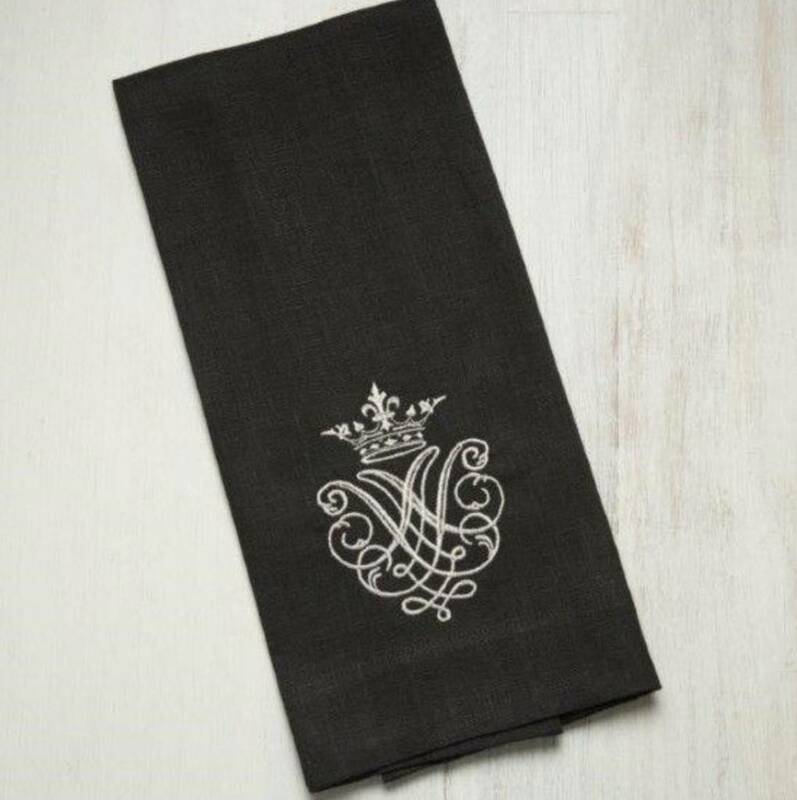 This beautiful set of four cocktail napkins made of 100% European Linen makes your table look elegant and amazing. 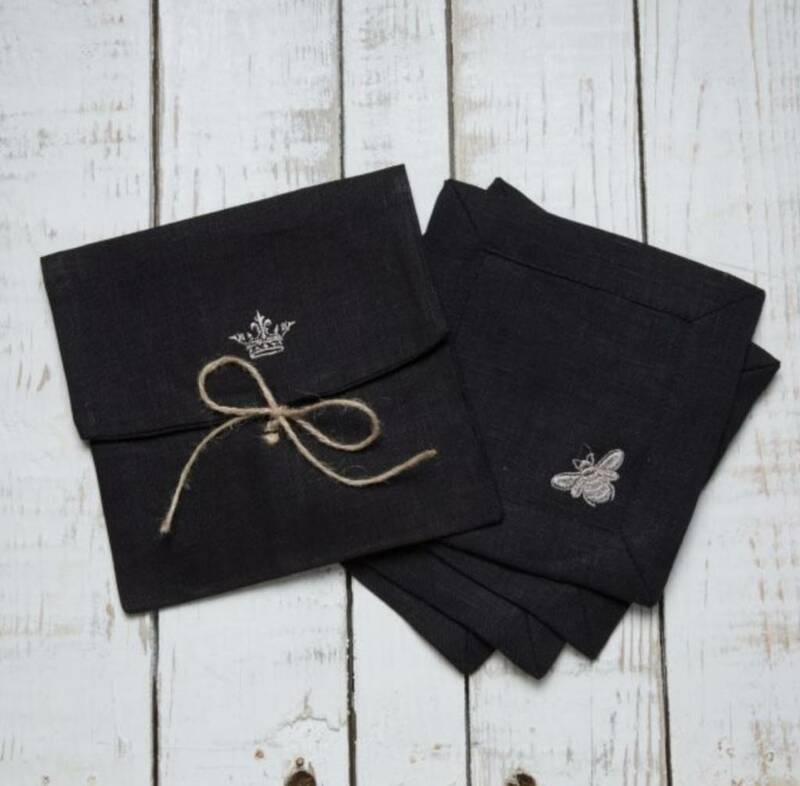 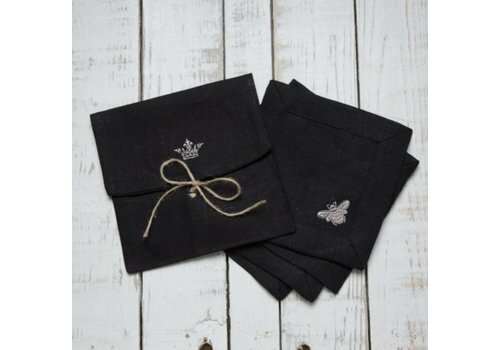 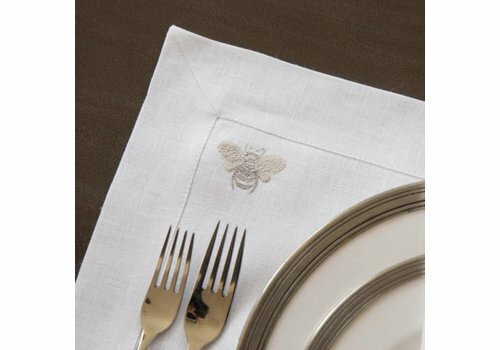 Each cocktail size napkin is embroidered with a lovely bumble bee. 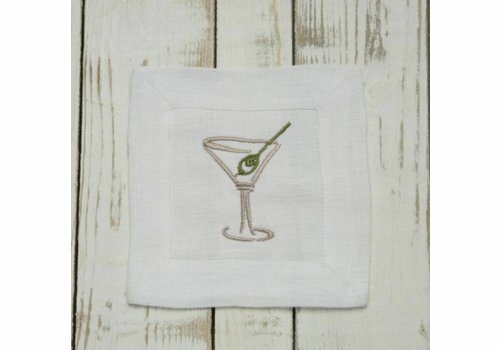 This beautiful set of four cocktail napkins made of 100% European Linen makes your table look elegant and amazing. 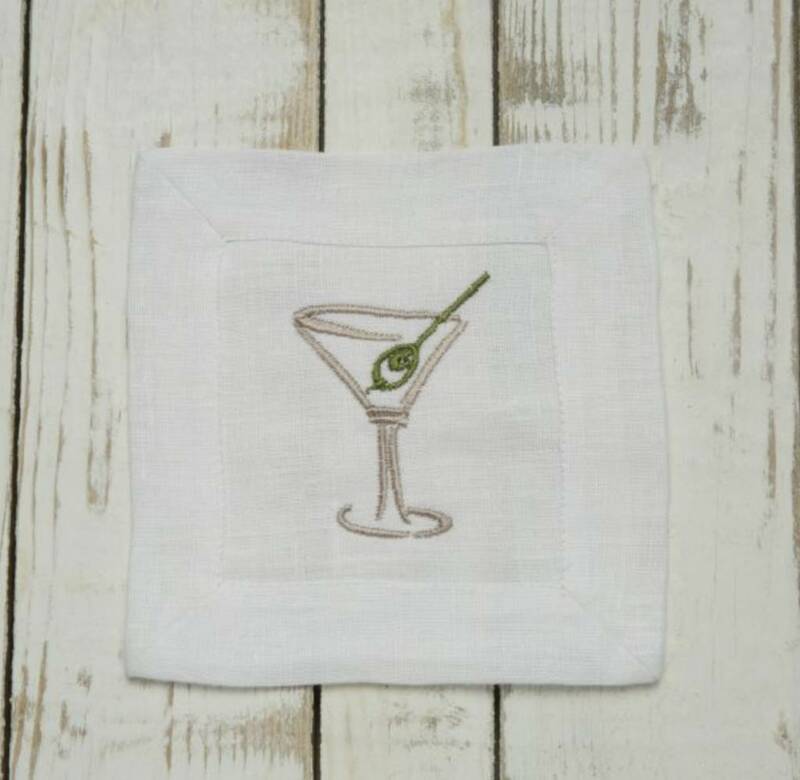 Each gray cocktail size napkin is embroidered with a lovely crown. 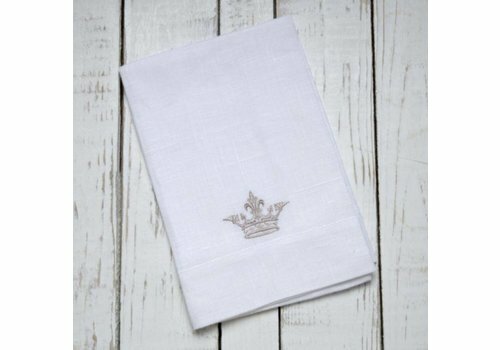 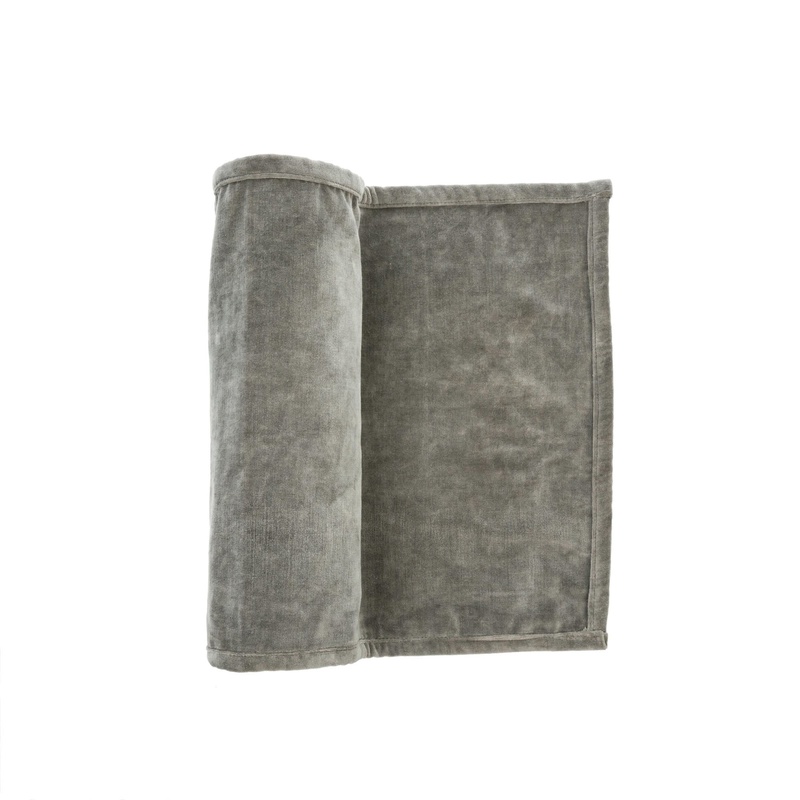 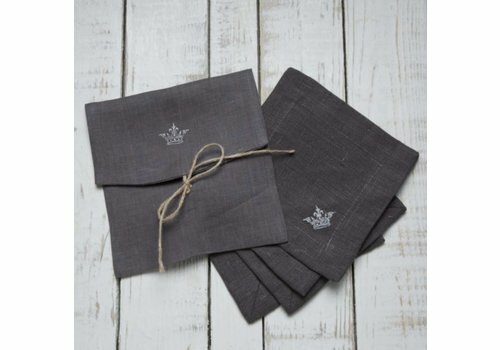 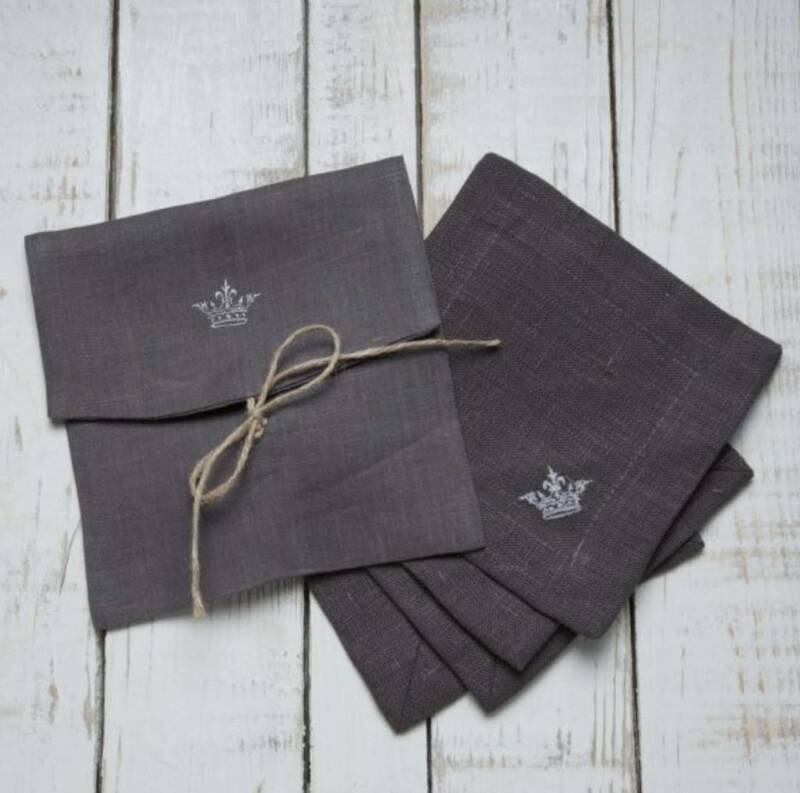 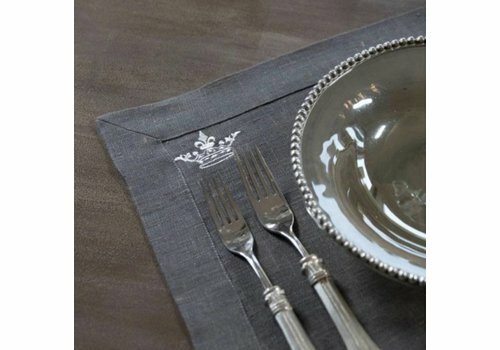 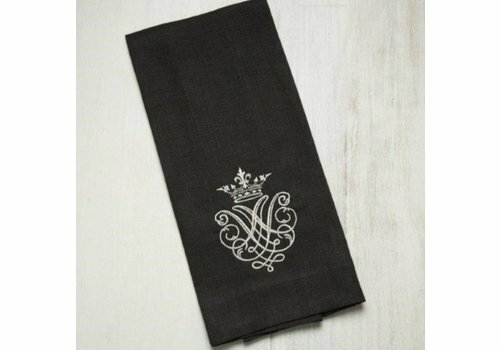 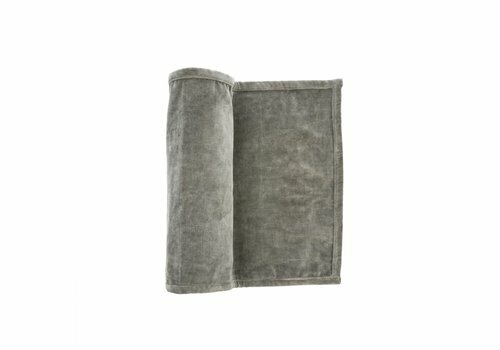 Crown Linen's luxurious linen napkin set from Europe are a perfect mix of elegance and beauty. 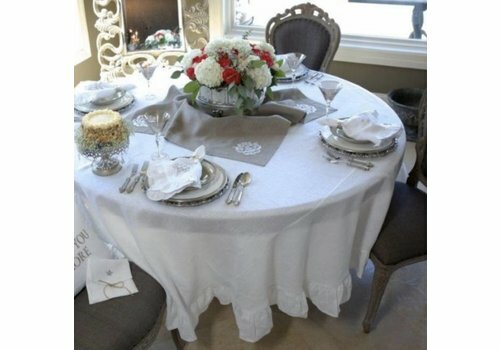 Combine with a runner or table topper to finish off the look. 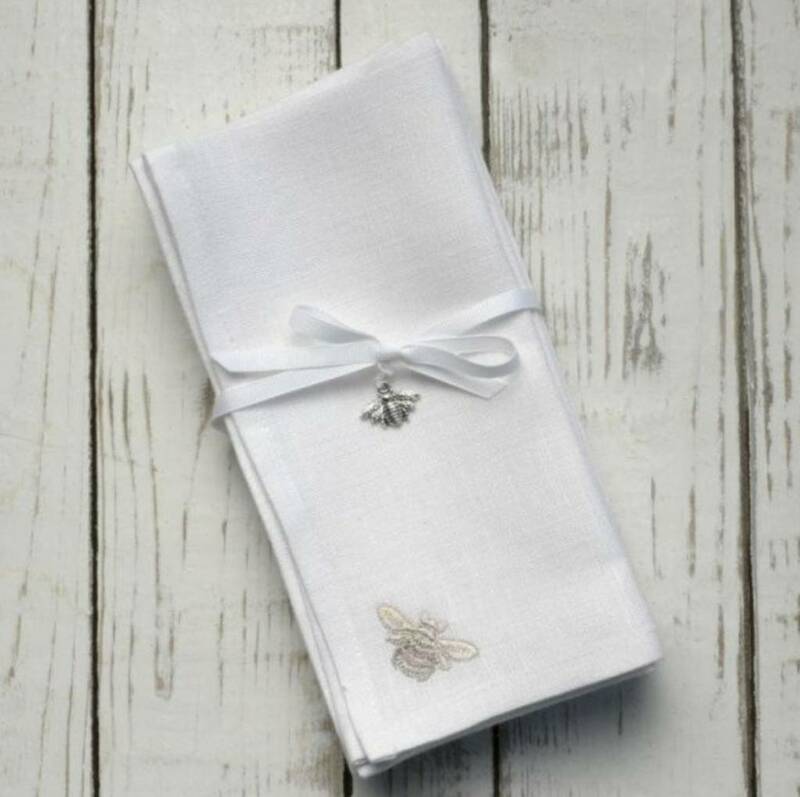 Embroidered Bumble Bee on the corner. 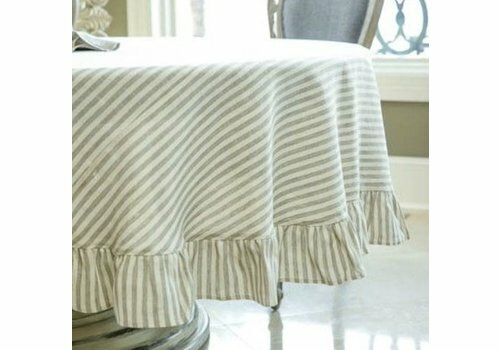 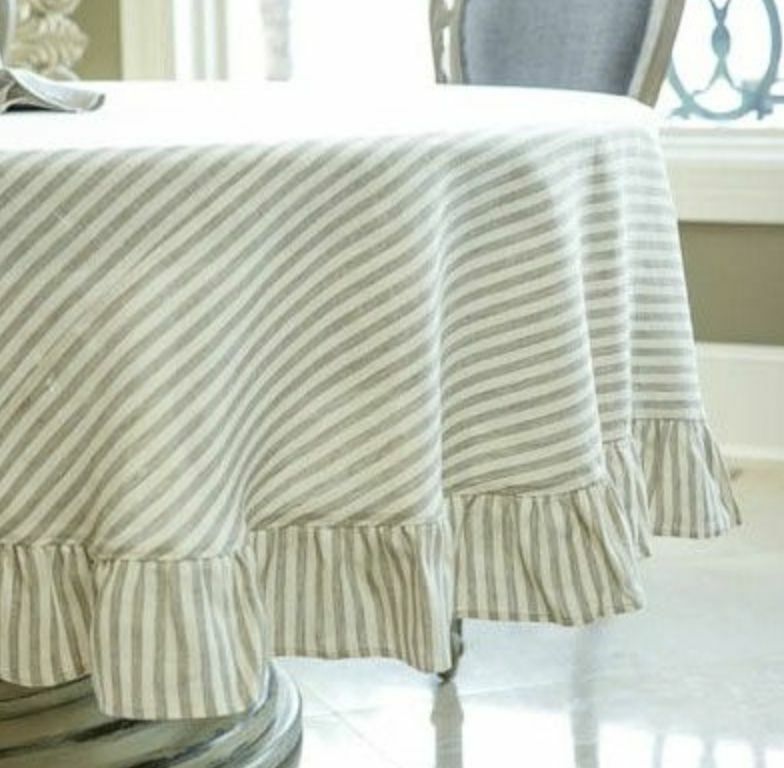 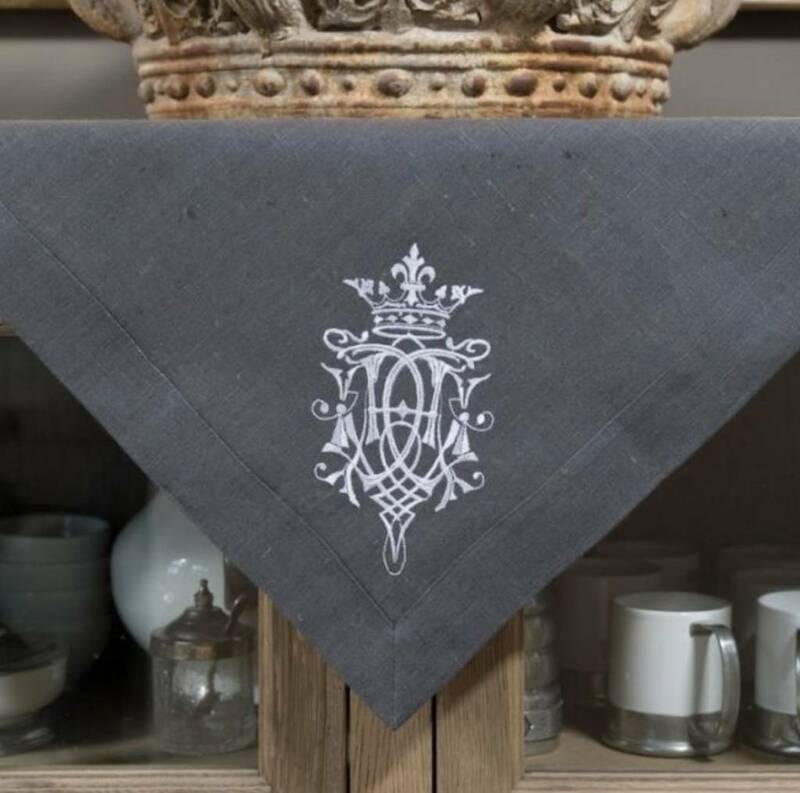 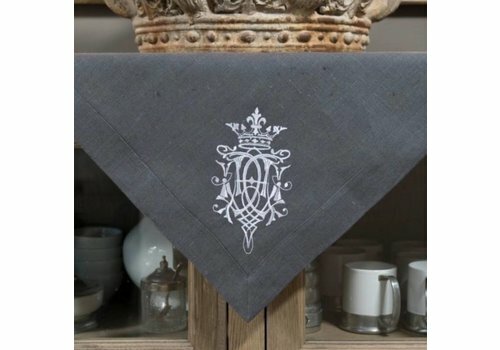 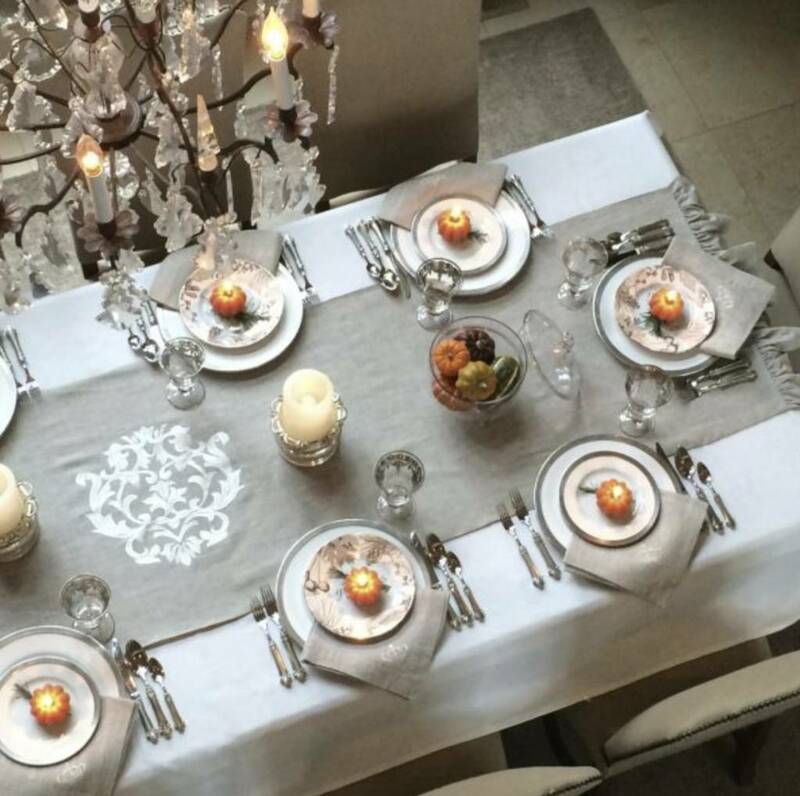 Crown Linen's luxurious linen napkins from Europe are a perfect mix of elegance and beauty. 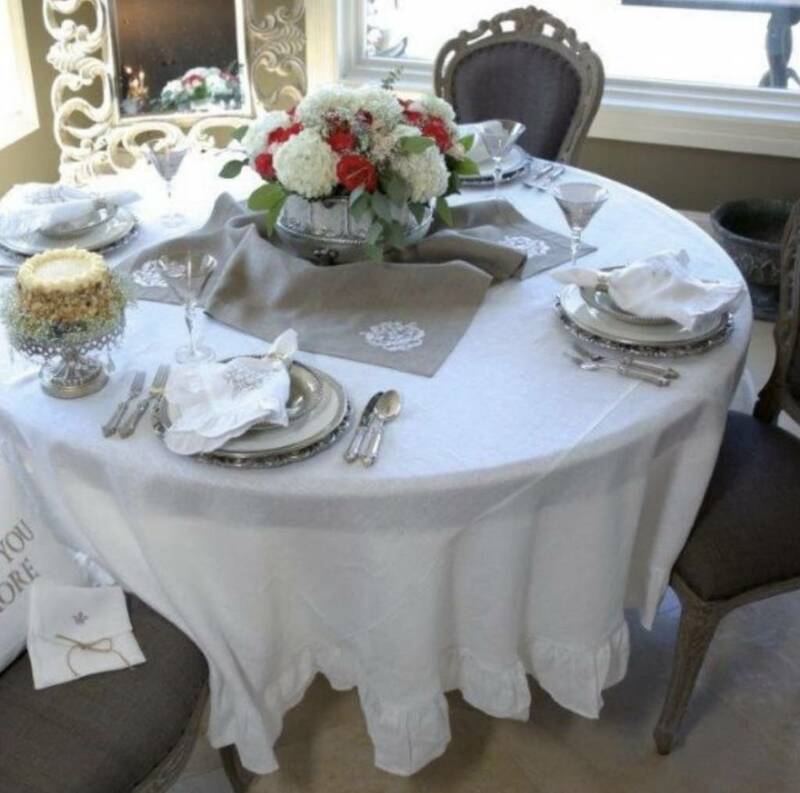 Combine with a runner or table topper to finish off the look.